The new materials management capabilities within B2W Schedule enable contractors to schedule and dispatch materials - in addition to employees, crews and equipment. A new B2W Inform app which allows contractors to use the B2W forms and reporting solution without Internet connectivity. "Materials management within B2W Schedule and the offline mode for B2W Inform were highlights of an aggressive, client-driven development effort over the past year," explained B2W CEO and founder Paul McKeon. "We also completed important updates across our estimating, field tracking and equipment maintenance elements and invested to keep the ONE Platform technologically current." The new materials management capabilities within B2W Schedule enable contractors to schedule and dispatch materials - in addition to employees, crews and equipment. They can also track quantities and locations of materials across their sites. 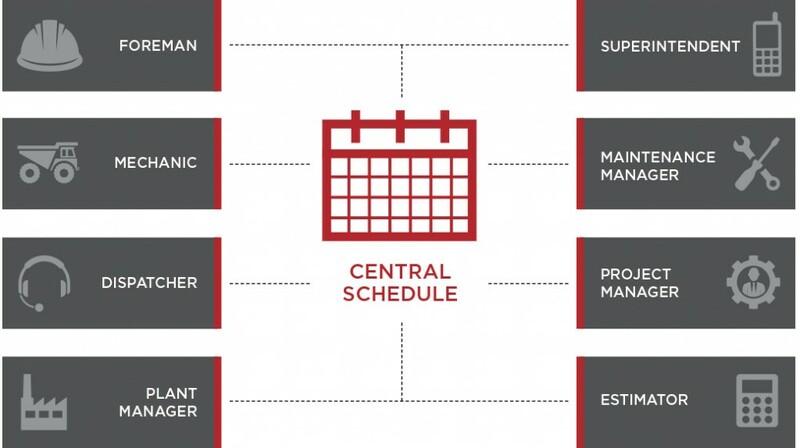 B2W Schedule, introduced in 2017, centralizes resource planning, scheduling and dispatching processes and moves them online to allow real-time collaboration. Users across workflows can view and assign resources on desktop or mobile devices based on their areas of responsibility. McKeon also highlighted expanded browser compatibility and many time-saving user experience improvements to B2W Track, which drew positive reviews from attendees. "We've made it faster and easier to create and complete field logs and enhanced how B2W Track users can copy values from previous logs, catch potential errors and reconcile data from field logs with their accounting systems," he added. The new B2W Inform app benefits contractors that work in remote locations or other situations where they are unable to connect to the Internet. Electronic forms for safety, inspections, training and other use cases can be downloaded in advance to any mobile device, and the completed forms synch back with B2W Inform for distribution and reporting when a connection is established. Cloud-based B2W Inform generates reports, dashboards and alerts from electronic forms. Fast, easy creation and management of customized forms - including a user-ready template library -- enables contractors to replace paper-based processes and capture rich data in real time anytime, anywhere.